he preacheth not heartily to his people that will not pray for them. Stretching across the rooftop of the world in Asia are the Himalayas, the Pamirs, the Karakoram and the Hindu Kush Mountains.They are the mountains running from Tibet across the India side of the Hindu Kush to Pakistan and Afghanistan. ±426 unreached people groups live here in these high places, most as yet untouched by the good news of the Maker of the Mountains. We are calling YOU to join us in heartfelt prayer for spiritual breakthroughs in these remote, tough and beautiful mountain tops. 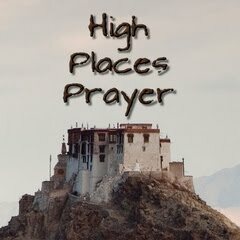 Help us to sustain prayer for the High Places by joining the 31-DAY PRAYER JOURNEY!